Itâ€™s not really the â€œMob Museumâ€, but Iâ€™m pretty sure that will be itâ€™s nickname for all time. 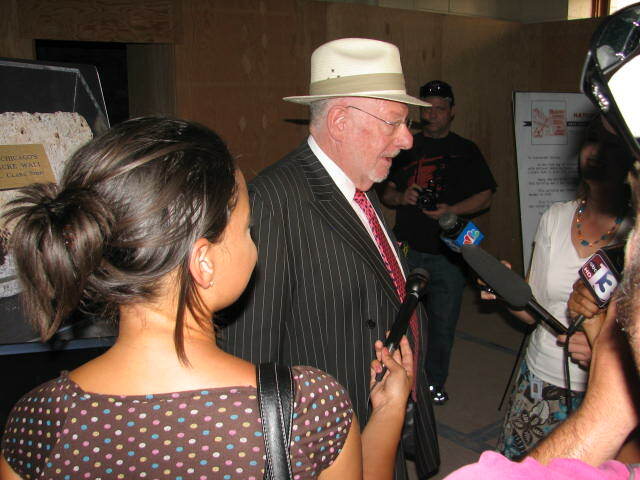 Itâ€™s actually called â€œThe Las Vegas Museum of Organized Crime and LawÂ Enforcementâ€. 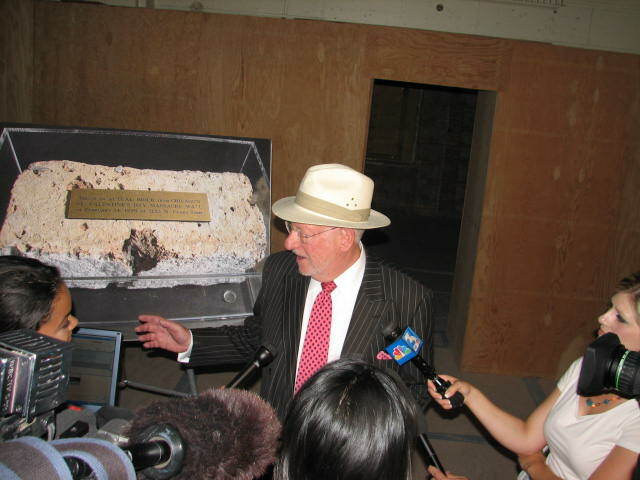 This morning,Â Mayor Oscar GoodmanÂ unveiled the first artifact.Â Itâ€™s a brick from the wall where the 1929Â Chicago St. Valentineâ€™s Day Massacre occurred. 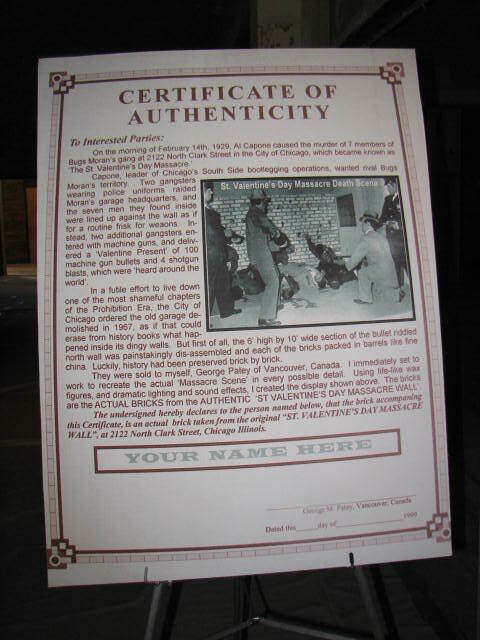 Thereâ€™s certificates of authenticity and display boards with photos and other documentation as well. Dressed in his best pin stripe suit and white fedora, the mayor told of many of the plans for the museum that will be another great draw for the tourists to come to Downtown Las Vegas. He was totally surrounded by camera from all the local TV News outlets, so I couldnâ€™t really hear it all well. There will be coverage on 3, 8 and 13, so Iâ€™ll fill in links to this post after theyâ€™re aired. Hopefully, Iâ€™m scooping them all by getting it on the blog first. It was the first time Iâ€™ve been in the â€œOld Federal Courthouse Buildingâ€ building in 20 years. Back then it was the downtown post office. 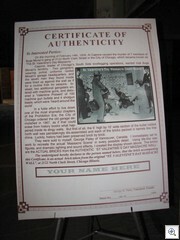 The building is a registered landmark with the National and State Registry of Historic Places. 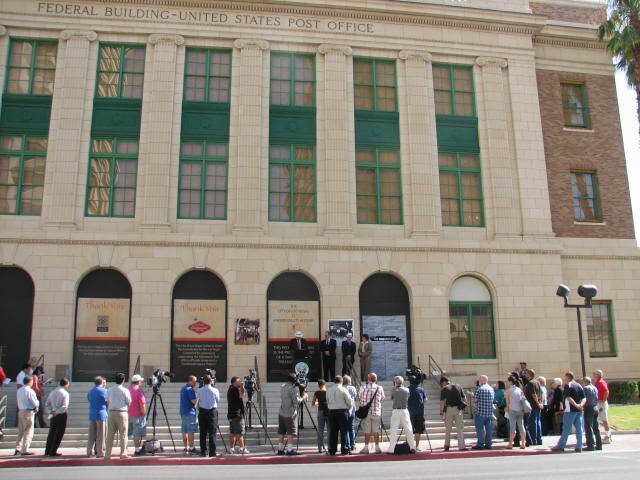 Why the former Post Office Building? 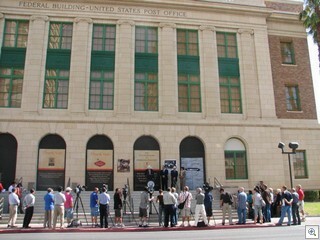 in Las Vegas, included in both the Nevada and National Registers of Historic Places, and determined to be significant at the national level for its association with the Kefauver Committee hearings on organized crime (the only historic building in Las Vegas designated as significant at a national level). 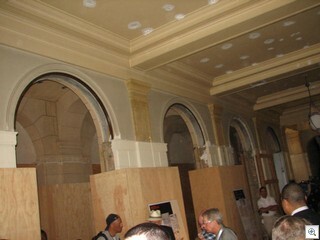 The building is an important remaining example of the Depression-era neoclassical architecture built by the federal government during the 1920s and 1930s. I was able to hear Mayor Goodman tell a reporter that heâ€™s dug deep into is own warehouse of memorabilia to make some significant donations to the museum. I think I understood that there will also be some items from the â€œCasinoâ€ movie, and I did hear him say â€œIf I had seen the Casino movie firstâ€¦..Iâ€™d have charged them a whole lot more money to be their lawyerâ€. Hereâ€™s a shot of the current interior space, now that the demo work and environmental abatement projects have been finished. 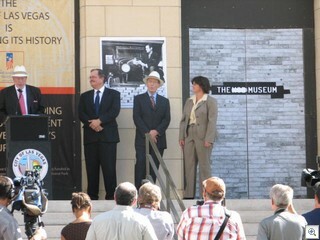 The â€œMob Museumâ€ will open in 2011. The Sun and the RJ now have coverage on their blogs, as well. I think my facebook uploads were the first to hit.